My name was Satori when I died in the 1960s and I was reincarnated as Lilian before I died and was reincarnated as the Villainess in an Otome Game called "The Flower of Love". I was reborn as Sarah a fat ugly 7 year old Villainess daughter, I have both memories when I was a man and when I was a woman in Japan. This story is of me as I try to keep the death flag at bay as I use healing magic and disguise magic to change me into a beauty and get revenge on the Prince that dumped me when I was 7 years old. Hear my story and my adventure as I turn the Otome Game I use to love on its head. And I make the heroine look ugly in comparison to me ! As the author, I hereby give permission for this story to be reposted to www.asianhobbyist.com. Note : I don't own any of the images they were found on google. This is the book 3 and the final book of goddess Sarah's story, see how she grew from an ugly fat girl, became a beautiful princess, became a beautiful goddess and finally became the Goddess of Creation. However all is not well as there is already an existing God of Creation. And as the Highlander movies says, "there can only be one", so there can only be one Creation God or Creation Goddess. So read the story of goddess Sarah and see if she succeed in surviving the fight of her life and find true love or die and fail miserably. Personally I feel she has no chance in Hell. As the author I hereby give permission for this story to be reposted to www.asianhobbyist.com. Ah but your free to point out mistakes. I Shall Become The Best Villainess Ever! Hm? My adorable younger sister is the heroine of a fantasy novel? And I, the jealous villainess must make her life hell, so that one day she can be saved by her princes? How can I bring myself to hurt my fluffy bunny? For her happy ending, I will brave the role of a villainess. ... That's good and all, but why isn't it working? Coming off from the pages of Otome Game on Earth, Sam the elf now has her own adventure story, Sam the elf. It tells the tale of Sam which used to be a boy Incubus but now she is a girl elf. Sam the elf would adventure around the World in the hope of becoming male again while she is being pursued to become the wife of Jack, Errol and the Guys Gang. She too have to navigate the road of female love from Sissy Potter the heroine. For Sam it was a comedy of errors that led him from a male demon to becoming a female elf. Now starts his misadventures in the fantasy World of goddess Sarah ! "What the f@#$ing hell ?!" where she puts all kind of death flags, abusive past, and all sort of cliché development as a mob character?! cheat, demon, and beast. Watch Alice as she change the whole scenario ! The sequel to "Reincarnated as the evil fat pig Villainess in an Otome Game", where Princess Sarah now known as the goddess Sarah has to navigate the World of the Demon King, the Hero and the Evil God. Imagine what's it's like if you are in a romance game and was suddenly thrust into a game where you have to kill the Demon King. That's the story of goddess Sarah. A romantic capture target for five men and a girl who suddenly realize she is in a Demon King Game. You will either absolutely love it or absolutely hate it this story. So please enjoy my story. The book 2 of goddess Sarah's further adventures. When Primrose, an average everyday girl, walks home in the rain, she spots a kitten sitting in the middle of the road and a truck approaching at high speed. And as a closet animal-lover, how could she not save it from the ever so devious and doomsday device truck-sama? 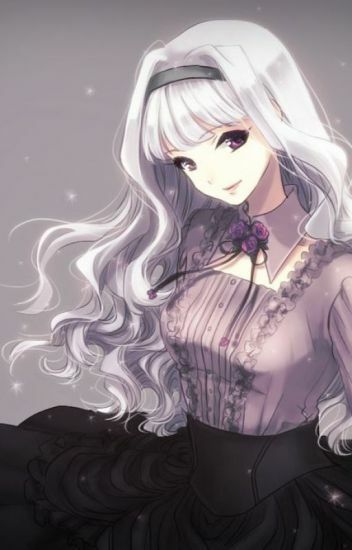 Follow her rebirth in a well-known and loved otome game as Princess Amaryllis Aster Fleur de Kusteza--the villainess. 14 year old Cassandra Wright died to the infamous Truck-san when she was crossing the road while playing her Otome game Light Doki doki operation: Warrior Princess. By the carelessness of Kami-sama's Angles, And she was Reincarnated by Kami-sama When she learned she was the Villainess What might be her reaction? Will she be able to avoid her death flags? Will she fall in love? Or will she be dead like the real Faith Spade? Read it and find out! In a world where previously known as the world in an otome game, I was born. At first, I don't know that this is a world in a certain otome game since I just remember exactly where I am,  at 15 years old, standing on the stage of the opening of the game. Thankfully, I am irrelevant to the game's story-line, so there's no destructive end for me. Yay. Unfortunately, I am friends with one of the love-rivals that keep on dragging me along towards her destructive end. Sigh. Miki Linux, a genius at small age that no one can compare, hides her intelligence for her to not attract people with high nobility. Fortunately for her, she's an illegitimate child of the Earl of Linux and also can't use any type of magic except ice magic. Wait, did I say magic? Yes. In this world, a parallel world where magic exists unlike Miki's old world. But this isn't like any world, but an otome game that her 'friend' played?! The thing is.... what's her role? no name character? a mob character? a rival? a friend? or the villain? "Whatever. It's not like I am her. I am me. I hate attention after all.... *yawn* it's time to sleep"